Also purchase a new throughout bearing for the clutch pushrod . Examine the pushrod for any scarring and if it looks good just polish it with crocus cloth. 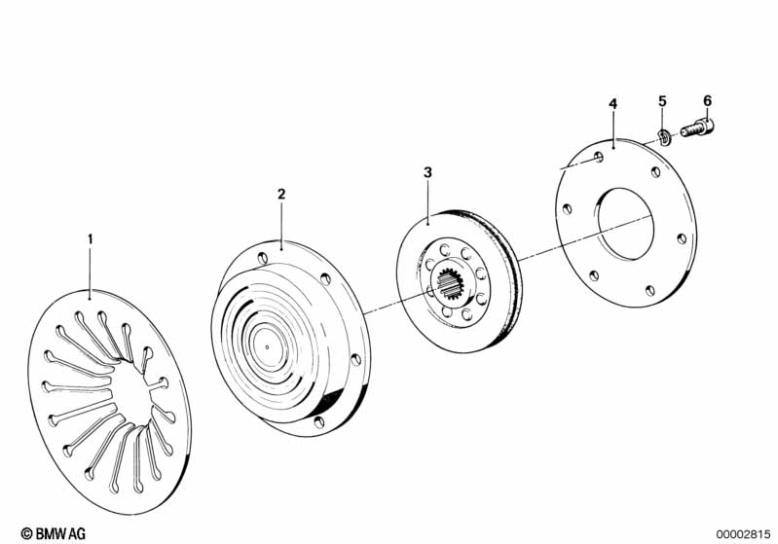 Check out Motobins, for any clutch pushrod and related parts .They are very good to deal with . 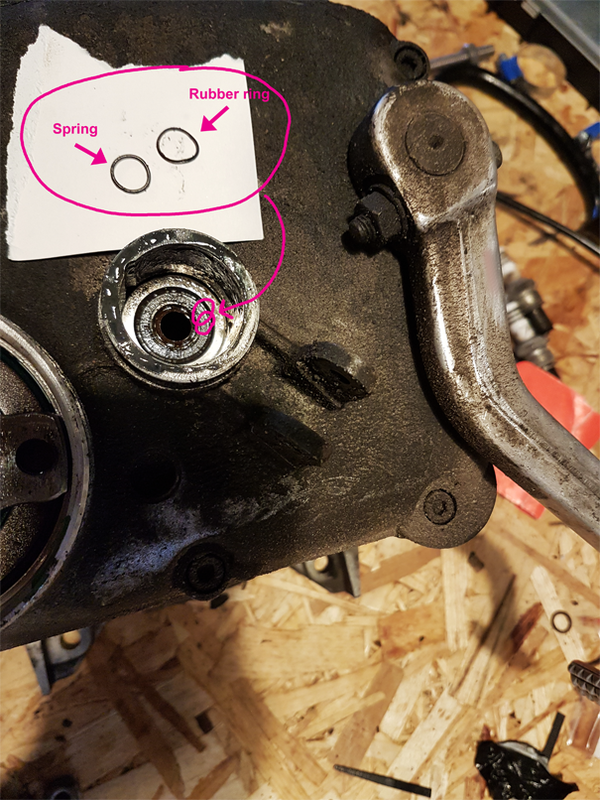 My memory re all of the parts in the clutch pushrod assembly is 8 years old and not reliable as that was the last time I had one of mine apart ..Talk to Damien at Motobins ,he is very good. Thanks John. Im very familiar with motobins, I'v gotten quit a lot of stuff from them over the years. Just to be 100% sure before I start ripping out seals. This is the clutch pushrod oil seal right? No. 15 in this blowup. And, I cant seem to get the clutch assmebly off. All 6 bolts are out, I tryed heating it a little, and give af few gental taps with a hammer, but it wont budge. When I removed the transmission I noticed a smalle rubber ring and a spring seal tangled together next to where the clutch control enters the transmission. I tryed to identify it in the realoem parts fiche, but can't find it. What is it, and has more of it dropped into the transmission? that seal is at the opposite end of the transmission (front). Yes this is it, after I wiped it down I found a tear in the lip and I want to replace it. How do I best go about getting it out, can I get it out with a pick tool? Most people use a suitably sized screw driver and (maybe) a rubber mallet to remove small seals. Learger seals are usually easily removed by running self tapping screws partially in around the periphery and then using a screwdriver or a claw hammer to lever them out using the screw heads. To put seals in, a socket of about the same size and a rubber mallet usually works. But for big seals (for example the rear main seal) a proper tool is advised. PS - for my sins I own both of the above. It will also set the big seal in the final drive.